The Saturn Return is when the planet Saturn comes back to meet your natal Saturn. It takes about 29.5 years for this slow-mover to return to where it was when you were born. The Saturn return hits in the late 20s and its impact is felt into the early 30s. There's a second (and possibly a third for the long-lived among us) Saturn return that hits between age 57-60. Read an astrologer's journal of the Second Saturn Return. The Saturn Return is a wake-up call, and this is why so many fear it's sobering realities. If you've spent your twenties in a fog, coasting on your youthful charm, it becomes obvious that your foundation is too flimsy for the long haul. When you're young, there seems infinite time to decide what you want to be "when you grow up." Well, Father Time swoops down as you're nearing 30 to say, you're all grown up now, pick a path. The Saturn return brings with it the pressure of time, and often the first awareness of your own mortality. You take stock of what it would take to achieve those big dreams, and often a sense of dread at ever getting there. But happily, it's a time when things like discipline, focus, and clear-sight come in to give you a kind of pragmatic hope. You'll figure out what's still possible, and make the changes necessary to get on track. It's a crossroads period when life-altering decisions are made. For example, at age 30, Vincent Van Gogh became a painter, instead of a minister. The Saturn return often creates a crisis that puts you face-to-face with your fears. And many of these have deep roots in your psyche, but they're also about living up to societal expectations. Saturn causes a mini earthquake to the foundations, and this enables you to shake off what's not really You. Saturn's other alias is Lord of Karma, and here's the test of whether you can become your own authority. Can you discover an unshakable core self within you that will be the basis for a lifetime of growth? Saturn has been known as the Great Malefic, whose transits are met with dread. But Saturn is simply the instigator of change, all meant to lead you toward healing and a real foundation of self. If you're in your Saturn return, and finding it hard to cope, get used to letting go of what's not working. When you hold on to things that Saturn is trying to break up, that's when the suffering is compounded. Check out one of the Saturn return blogs, so you can share experiences, and not feel so alone. You'll soon see that most people feel confused, lost and even despairing or hopeless at this time. If you don't know your Saturn sign, look it up on the birth chart. Astrologers often say it's important to "Do Your Saturn," and this means taking tangible steps to master those qualities. Read about your Saturn sign, and look at how it aspects your other planets. During my Saturn return, I found a journal with the Aries Ram in it (my Saturn sign) and this is where I worked out my thoughts. Seek out interpretations, and spend time figuring out for yourself what the Taskmaster is expecting. Read up on Saturn in each of the four elements, the qualities, houses and of course, the all-important Zodiac sign. The Saturn return makes it clear what you've been up to for the last 29 or so years. Some "old souls" that made wise choices from the get-go may find it to be a passage where things are solidified. Not all marriages fall apart, and some grow stronger when they make it through this maturation phase together. If you resist the changes that Saturn brings, there's always the second go-round. But that isn't advised since it might be a farther fall to the bottom. The example of a Saturn resister would be someone devoted to a job that makes them miserable or stuck in a relationship that's harmful to their spirit. Just like the I-Ching says, chaos is another name for opportunity. And listening to the pressures and doubts of your Saturn return brings on the breakdown before the breakthrough. Saturn is trying to lead you to yourself. As Lord of Karma, Saturn brings you what you've earned through your disciplined pursuit of goals and experience. You'll find out during the Saturn return what you've manifested up to that point, how well you've used your talents. No wonder it's a feared transition -- this is like the mid-semester exam! In myth, Saturn is also the God of the Harvest, and it's harvest time during your Saturn return. If nothing's been sown, and therefore, very little reaped, you'll realize it's time to get busy. The scythe of Saturn prunes cuts away the useless bits, and that can feel like a death of the self. Saturn often brings a death to the old ways of doing things, but later on, you're likely to say, "Good riddance!" The death phase is never easy, but keep in mind that rebirth will come. Saturn's realm is responsibility and will show you how to grow through relationships, raising childing, pursuing a challenging career, finding discipline for an art, etc. If you've indulged in wishful thinking, Saturn finds a way to make this painfully obvious. It's not just designed to humiliate you, but to inspire you to stand on solid ground. Saturn is like the wise old man who sees right through your excuses, and empty boasts. Try to make friends with Saturn through discipline and finding a step-by-step path to your goals. It's the simple, but not always easy task of making your dream a reality by doing it on a daily basis. When serious Saturn overtakes your life during this hugely important initiation into adulthood, it's important to remember that 'This too shall pass.' The harshness of this period can make you feel washed up, parched, disillusioned. But it can also be a time of taking stock, liberating yourself from all kinds of baggage and starting anew with a clearer sense of purpose. It's never too late to be who you were meant to be. The Saturn return reminds you of what is truly important and makes sure you're on the path to claim your highest potential. 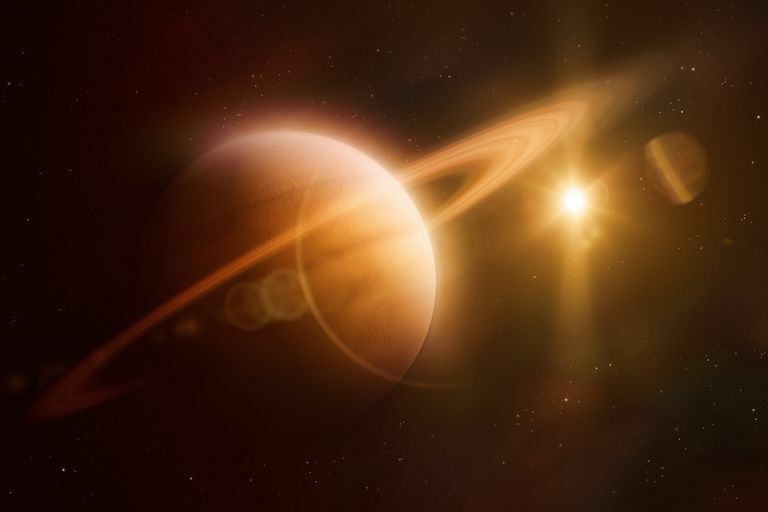 Do You Possess the Traits of a Saturn Gemini? What's the Meaning of the 11th House in Astrology? What's Serious with Saturn in Second House? How Does Uranus Trigger Growth?